Research Center for Organic Electronics ＞ 【Visiting】 Visitors from Japan Pension Service Yonezawa Office had a tour of Research Center for Organic Electronics guided by Prof. Osamu Matsuda. 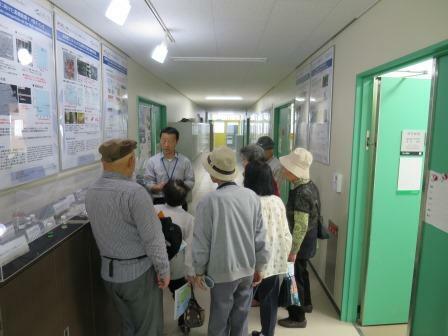 【Visiting】 Visitors from Japan Pension Service Yonezawa Office had a tour of Research Center for Organic Electronics guided by Prof. Osamu Matsuda. 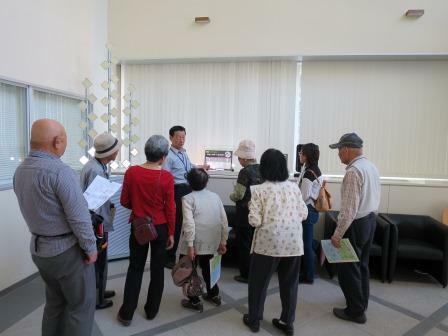 Visitors from Japan Pension Service Yonezawa Office had a tour of Research Center for Organic Electronics guided by Prof. Osamu Matsuda.